One week ago today I lost an old and very dear friend who, despite never hav ing offered a word of appreciation or any declaration of support, ultimately saved my life. Pierce’s touching piece is here. The Historica-Dominion Institute asked Canadians to write their own great Canadian novel through a playful open-ended survey, and to answer questions on the importance and role of CanLit in education. The results tell a multitude of stories about this great country, and demonstrate an overwhelming impulse for historical education through Cancon-focused literature. In the foothills of the Rocky Mountains, in a fictionally affordable Muskoka cottage, in the Arctic, in downtown Montreal. These are some of the places where Canadians see their stories unfolding. A roughly even split chose either themselves (17%) or historic figures (18%) like Jacques Cartier or Wayne Gretzky as protagonists of their story. Interestingly, almost one quarter or 23% would write a history book, and nearly one third (31%) wanted to educate their reader, most often about Canada (rather than entertain 22%, cheer 22% or distract 5%). 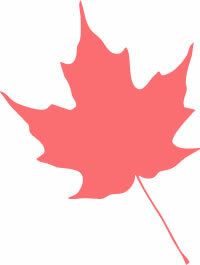 Notably, the survey showed immense support for Canadian stories: 95% of respondents agreed (55% strongly, 40% somewhat) that ‘it is important that students read Canadian literature in school’ while 89% agreed (48% strongly, 41% somewhat) that ‘Canadian literature should be mandatory in all high school curricula across Canada’. In fact, three quarters (76%) agree (23% strongly, 54% somewhat) that ‘Canadian literature is among the best in the world’. Nevertheless, almost half (48%) disagreed (13% strongly, 34% somewhat) that they ‘read Canadian literature on a regular basis’. Breakdown by age reveals a troubling reality: 18-34 year olds were least likely, and one third less likely than 55+ year olds, to agree that they read Canadian literature regularly. You can learn more about the Historica-Dominion Institute here. People wonder a lot of things about literary legend William Shakespeare, like if he really wrote all his works, or if we even know what he looked like. But a South African anthropologist has asked permission to open his grave to see if the playwright was smoking weed when he wrote his famous plays and poems, reports Live Science. One of the simple joys of childhood: a rainy day, a blank piece of paper and a box of wax crayons. There was real pleasure in watching our masterworks emerge and the time spen t creating them was never wasted. Why can’t we reignite that joy as adults? 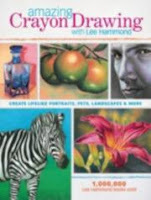 Illustrator and art instructor Lee Hammond says you can. While the assassinations of President John F. Kennedy and his brother Robert are still somewhat shrouded in mystery, more details about the 1981 attempted assassination of Ronald Reagan emerge as time goes on. As Pulitzer Prize-finalist and Washington Post reporter Del Quentin Wilber writes in the prologue to his new book, Rawhide Down: The Near Assassination of Ronald Reagan (Henry Holt), the broad outlines of the day -- John Hinkley Jr. firing six shots at Reagan as the recently inaugurated 40th U.S. president exited the Washington Hilton -- are well-known. The title comes from Reagan’s Secret Service code name, and the image of a cowboy Reagan, who walked into the hospital on his own two feet and joked to his wife, “I forgot to duck,” looms large in American culture. But insider knowledge has been parsed out sparingly over the years, and among those tidbits is the fact that Reagan actually came much closer to dying than we realized. Based on fresh interviews, historical documents and records, Rawhide Down purports to be the definitive account of what happened on March 30, 1981. Wilbur chooses to focus just on the events of March 30, and while it makes the book short, it serves it well. 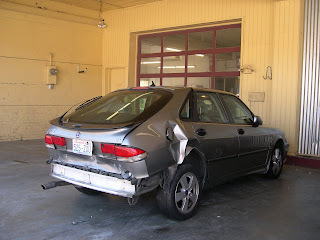 However, I found myself wanting to know more about the aftermath and investigation into the shooting. Hinkley, such a focus of the book’s first half, all but disappears from view once he is arrested, with Wilbur instead choosing to highlight the doctors and hospital staff who saved the life of a president. Wilbur’s reporting on Hinkley makes up some of the most compelling sections of Rawhide Down. Rather than a cultural boogeyman or super-soldier in the shadows, the attempted assassin -- in Wilbur’s hands -- is shown as a human being. A wise decision. That’s not to say that the author shies away from showing Hinkley as anything but a sad, mentally unbalanced young man, obsessed with the film Taxi Driver and its star, Jodie Foster. One of the many revelations in Rawhide Down comes during Wilbur’s exploration of Hinkley’s fixation on Foster. For example, I knew that he was obsessed with her; I did not know that he moved to New Haven, Connecticut, and called her dorm room at Yale University in a scene reminiscent of that scene in Swingers. Much like author Dave Cullen does with his portrayal of mass-murderer Eric Klebold in Columbine, Wilbur leaves the reader with great sympathy for Hinkley -- that this was a youth in need of psychiatric care, angry and in his 20s, but not a psychopath. Not beyond saving. While Wilbur continues to develop this false suspense in the sections dealing with Alexander Haig, who was secretary of state at the time (and who, after misunderstanding the line of succession, claimed that he was in control of the White House in the aftermath of the shooting), it’s less obvious and annoying than in the Hinkley sections. Wilbur’s prose is clean, crisp and indicative of his background as a longtime reporter. He’s concise when discussing the players in Rawhide Down, using elements of their past to emphasize the importance of their roles in the aftermath of this attempted assassination. Wilbur’s real gift in Rawhide Down is handling the many characters involved -- from Hinkley to the president’s chief of staff, the police and Secret Service members, and the doctors and nurses saving Reagan’s life. Even the president himself comes off as a person rather than an icon -- though early in this book, I worried that it would be become some “why Reagan was great” hagiography. Brendan M. Leonard lives in New York City and is a regular contributor to The Rap Sheet. No More Fiction for You! Typically, murder mysteries don’t reveal the killer until the end. So when the killer in the new thriller The Hypnotist (Farrar, Straus and Giroux) is revealed early on, you sort of think, Well, this book isn’t about what I thought it was. And that, it seems, is the point. The whole book is like that. In fact, even the author is like that. Lars Kepler -- or rather, “Lars Kepler” -- isn’t one guy. It’s a husband-and-wife team from Sweden, who seem intent on giving Stieg Larsson and Henning Mankell some serious competition. The Hypnotist, this couple’s first novel, is a blockbuster in the making. Set in the land of girls with dragon tattoos, it’s a rip-roaring mystery/thriller that’s amazingly fun to read, relentless in its narrative momentum and stubborn when it comes to letting you go, even for a night’s sleep. Two characters emerge as dual protagonists: Joona Linna, the seasoned gumshoe, and Erik Maria Bark, the hypnotist who’d rather not know anything about hypnotism. Linna is one of those brilliant career detectives whose work hinges as much on hunch and instinct as it does on evidence and testimony. Think Dr. Gregory House with a police badge and a Swedish accent. Bark, meanwhile, has given up hypnotism as a result of Something Terrible that happened to him a decade ago. It’s Linna's request for Bark’s help to solve an extremely graphic and bloody multiple-murder case that gets The Hypnotist going -- and once it’s going, hold tight. I don’t want to spoil one iota of it, so I’ll just say that the plot swirls with a dizzying velocity beyond what you expect. A marriage falters. A son vanishes. A man compromises his principles. People are killed. Revenge is achieved. 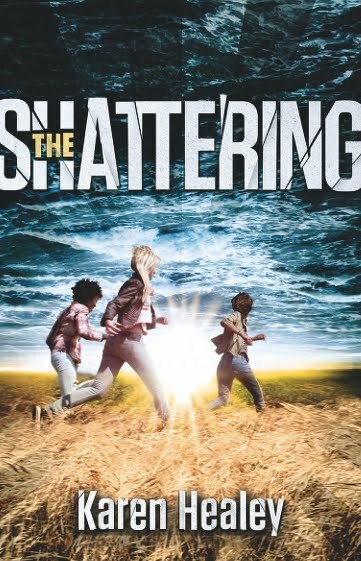 Somehow, the authors (both of whose good looks match their prodigious talent) have crafted a novel whose many different parts -- thriller, procedural, broken-marriage cautionary tale, primer about teenagers -- add up to something far greater than it maybe should. And it’s all held together, expertly, by razor-sharp writing; an arch, knowing tone; compelling characters; and finely honed, fast-moving prose. Hell, even the plot device that isn’t supposed to work -- a protracted flashback!! -- holds together. And more, it holds the plot together, too. The Hypnotist is the book everyone will be talking about this summer. At least everyone who’s hungry for yet another Sweden-set mystery. But to lump this in with Larsson and Mankell just because it’s Swedish would be a terrible disservice. To tell the truth, I forgot all about Sweden as I was reading the novel; it could have been set in wintry Massachusetts just as well. J. Kingsto n Pierce goes back to the classics for this week’s Pierce’s Pick of crime fiction. You can see previous Pierce’s Picks here. You can hear more from Pierce at The Rap Sheet. Kroetsch died Tuesday in a two-car collision near Drumheller, Alberta, while returning from the ArtsPeak Arts Festival in Canmore. 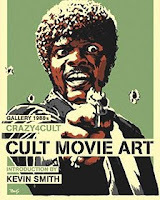 Since 2006, Crazy 4 Cult has been a hugely successful annual art show at Gallery 1988 in Los Angeles. The shows celebrate cult movies in art in a way that is surprisingly relevant and often even strang ely touching. With the fifth Crazy 4 Cult show ready to open July 8th, Gallery 1988 has created a book that selects from the very best from the shows’ first four years. Crazy 4 Cult (Titan Books) includes work by Shepard Fairy and others inspired by films such as Donnie Darko, Clockwork Orange, TRON, Pulp Fiction, Clerks and many more. Speaking of Clerks, producer Kevin Smith writes the foreword here, putting his mark on yet another aspect of this pop culture classic in the making. Today is the first day of summer and Takashi Murakami helps Google celebrate today with a whimsical piece of artwork that makes one think of warmth. At the Google search page, click on the art for a search of solstice-related links and information. According to The Writer’s Almanac, two important literary birthdays are celebrated today: novelist Ian McEwan (Saturday, On Chesil Beach) is 63 today and writer and philosopher and long-time main squeeze of feminist author and social theorist Simone de Beauvoir, Jean-Paul Sartre (who died in 1980) would have been 106. You can read about both authors at The Writer’s Almanac. It is appropriate that, on the occasion of the 150th anniversary of his birth, one of the best loved novels by the “hero of the Philippines” be commemorated with a Penguin Classic in the form we all know and love. José Rizal was born on June 19, 1861 and executed 35 years later on December 30, 1896, creating him as a martyr of the Philippine Revolution. Rizal’s was an extraordinary talent. He spoke 22 languages and was a prolific writer. 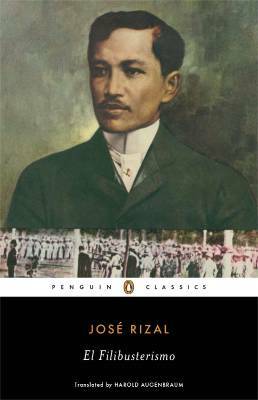 Though best known for the novels he wrote -- in particular Noli me Tangere (Touch Me Not) and its sequel El filibusterismo, Rizal was also an essayist, poet and correspondent and optometrist. Scholars of his life and work, however, remember him as being one of the significant forces for the Revolution: his execution providing the final straw that would ultimately lead to the end of the oppression for his country. Every modern parent knows that, to raise a reader, you have to encourage reading. 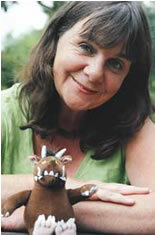 However Julia Donaldson, author of around 120 books and Britain’s new Children’s Laureate says that, when it comes to kids and reading, there really is such a thing as too much. At 25, Serbian/American Téa Obreht has become the youngest author to ever win the prestigious Orange Prize for Fiction with her debut novel, The Tiger’s Wife. Awarded annually to the best novel of the year written in English by a woman, since its debut in 1996, the Orange Prize has been won by such literary luminaries as Barbara Kingsolver (for The Lacuna), Zadie Smith (for On Beauty), Lionel Shriver (for We Need to Talk About Kevin), Andrea Levy (for Small Island) and Carol Shields (for Larry's Party). January Magazine contributing editor, David Abrams, was over the moon about The Tiger’s Wife is his review back in April. “The Tiger’s Wife is so majestic in its telling,” he wrote, “you almost don’t hear the the morality whispering past your ears. But the philosophical foundation of the book is strong and only serves to deepen Obreht’s strength as a storyteller.” That review is here. The title of Julian Barnes’ 17th book refers to the rhythms that function within each relationship. So, at least, it would seem, because Pulse concerns itself entirely with love and relationships, a topic that turns out to be as fraught with danger as his previous collection, Nothing to Be Frightened Of, which focused on death. Barnes has broken this collection into two distinct parts. In the first, he explores contemporary relationships, punctuated by repeated appearances of a set of couples at regular dinner parties, observing and commenting, most often not too kindly. Millions of readers have loved Daphne Du Maurier’s darkly creative novels but, after many years on the shelf, her paintings will now come to light, as well. According to a BBC news video, for a brief period in the 1950s, the author of Rebecca, The Birds and many other novels and short stories, suffered an angry bout of writer’s block. Unable to write Du Maurier turned her creative energy to painting, producing a series of carefully Impressionistic landscapes. Fearing they lacked merit, Du Maurier’s estate has kept the paintings out of the public eye until now. The short BBC segment can be seen here. Calling the book a “fluke hit,” Johnny Temple, publisher of Brooklyn Indie house Akashic Books, said he couldn’t be happier about the frenzy over Go The F**K to Sleep by Adam Mansbach and Ricardo Cortes, a parody of a kids’ picture book that he’s about to release. The surprise hit title has more than 275,000 copies in print and doesn’t go on sale until June 14. Despite the book’s early success, Temple isn’t popping the champagne… yet. J. Kingston Pierce returns to the United Kingdom for this week’s Pierce’s Pick. Naipaul Thinks He’s Better Than Austen: Why Are You Surprised? What was surprising about this outcry was the stated surprise. Naipaul’s misogyny is well known; even documented. And, anyway, argues Susan Cheever at The Daily Beast, who cares? Talent is no indicator of character. A good writer is not automatically a good person or a good teacher or even a particularly good thinker. Faulkner famously told his daughter her feelings didn't matter because "no one remembers Shakespeare's child." Was Charles Dickens a great husband? Was Edith Wharton a good friend? Do we care? Bad men write good novels and so, alas, do bad women. I've known a lot of writers in my life and I can testify to the fact that their writing often seems to have been written by someone else -- some kinder, empathic person who has taken up residence in their bodies. Here’s Harry Potter star Emma Watson with a Chicken Soup book. And Lindsay Lohan with an eff-you expression and a copy of Susan Shapiro Barash’s 2009 whinefest, Toxic Friends. Next party girl Paris Hilton photographed with a book with a title one would think Hilton would have come up with herself: Living In The Moment by Gary Null. The Metamorphosis by Franz Kafka was first published in 1915. It is arguably one of the most important and seminal works of short fiction of the 20th century. The Meowmorphosis (Quirk) is, clearly, not th at book. Like all trendy things, the current literary mash-up rage started with a deliciously sublime idea -- in this case 2009’s Pride and Prejudice and Zombies -- and has since been becoming increasingly stretched and ridiculous in the time between. In some cases, ridiculous has been good and interesting, even thought-provoking on occasion. Though author Coleridge Cook (A “beloved fantasy novelist” writing under a different name. Hmmmm.) does a credible job with questionable material, for me The Meowmorphosis never quite gets there. One morning as Gregor Samsa was waking un for an anxious dream, he discovered he had been changed into an adorable kitten. In this way The Meowmorphosis is like a reverse mash-up. In the most common of the literary mash-ups, we begin with a spiritually calm literary work (say Pride and Prejudice) and then stir in an element of horror. (Zombies count.) In Kafka’s Metamorphosis, a man awakes to discover he’s become an insect. Scary stuff. In this reworking, a man awakes to a softer reality. For a while. That didn’t take long. The American version of The Girl With the Dragon Tattoo, the first Stieg Larsson thriller, is coming this Christmas. A newly released rocking, in-your-face trailer now online proves it. David Fincher, who worked miracles last year with The Social Network, has produced this film very quickly. It seems like just yesterday he was announced as director, with Rooney Mara as the title character and Daniel Craig as Blomqvist. You might remember Mara as the girl done wrong by Mark Zuckerberg in the opening scene of The Social Network. Nice work, Rooney, turning a small part in one film to the girl everyone wants to see in the next. Fincher is pulling all the stops, and he needs to. He's following a very tough act: the Swedish film adaptation of this book was very, very good. Fincher has the chops, though, and some of his previous runs at gritty, off-beat stories have been groundbreaking. Seven, Panic Room, and Fight Club have all sported Fincher’s signature edgy style. A score by Nine Inch Nails frontman Trent Reznor—who won an Oscar for his Social Network score—should add a gritty, contemporary ambiance to the film. With just six months until opening day, the publicity machine is already working overtime. One can barely turn around without encountering Mara -- generally with seemingly constantly fewer clothes. Fincher’s The Girl With the Dragon Tattoo opens December 21st. I’ll see you in line. In 1956, she married playwright Arthur Miller, who wrote of her, “She was a whirling light to me then, all paradox and enticing mystery, street-tough one moment, then lifted by a lyrical and poetic sensitivity that few retain past early adolescence.” They first met in 1951, when he was still married to Mary Slattery, and he encouraged her to come to New York and study stage acting. He was the first person to take seriously her desire to improve as an actress, and he sent her a reading list; she began taking college classes in literature and art. They renewed their acquaintance, and began an affair, when she moved to New York to study with Lee and Paula Strasberg in 1955. Their marriage was often filled with strife. Marilyn, who desperately wanted children, had several miscarriages, and she grew more and more erratic, and more dependent on painkillers and sedatives. They separated after filming her last movie, The Misfits, in 1960. Miller had written the screenplay for Monroe, to aid her quest to become a serious actress and, he later admitted, to try to heal their fractured relationship, but it had the opposite effect: She collapsed completely, and the marriage was over. He soon married photographer Inge Morath, whom he’d met on the set of The Misfits, and she began seeing Joe DiMaggio again. 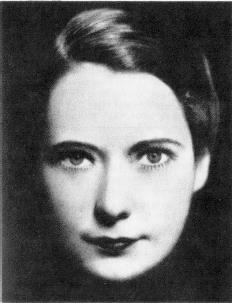 She died in August 1962, after an overdose of Nembutal. Her personal secretary reported that Monroe ended her last interview with a plea: “What I really want to say: That what the world really needs is a real feeling of kinship. Everybody: stars, laborers, Negroes, Jews, Arabs. We are all brothers. Please don't make me a joke. End the interview with what I believe.” She pleaded in vain; her words did not appear in the article. 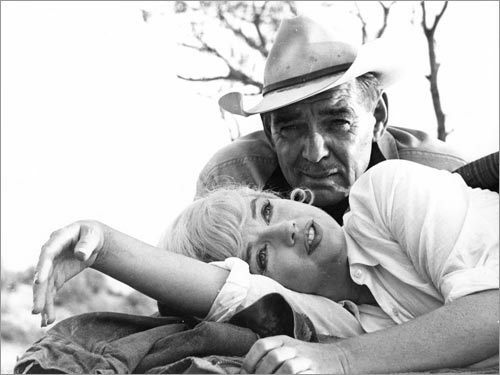 Above: Monroe and co-star Clark Gable light up The Misfits in 1961. It was to be her final completed film. Gable, meanwhile, died 10 days after the completion of filming.